Treat your Mum like royalty! 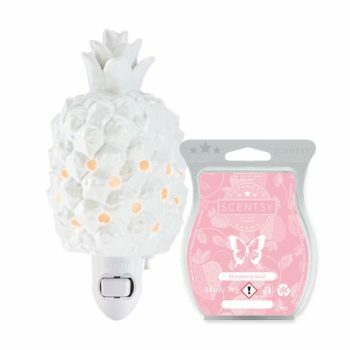 Our trendy, white Queen Pineapple Mini Warmer will steal the show in any setting. Includes the blissfully sweet Strawberry Swirl Scentsy Bar, featuring frozen strawberries whipped with frothy milk and vanilla.